There is a new player in the Side x Side market. 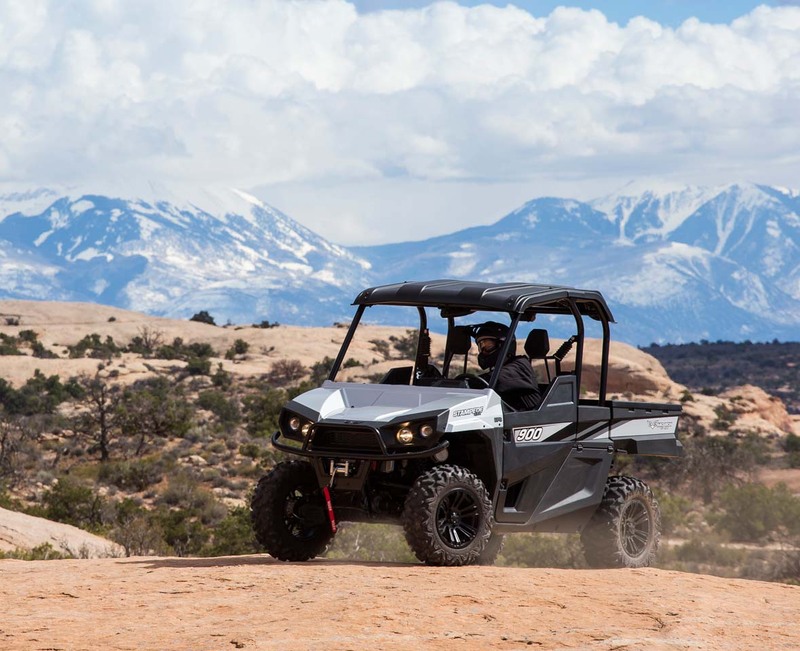 Bad Boy Buggy is officially releasing an all-new model aimed squarely at the hard working and hard playing segment which has been dominated by models like the John Deere Gator, Polaris Ranger, and as of late, Can-Am’s new Defender. 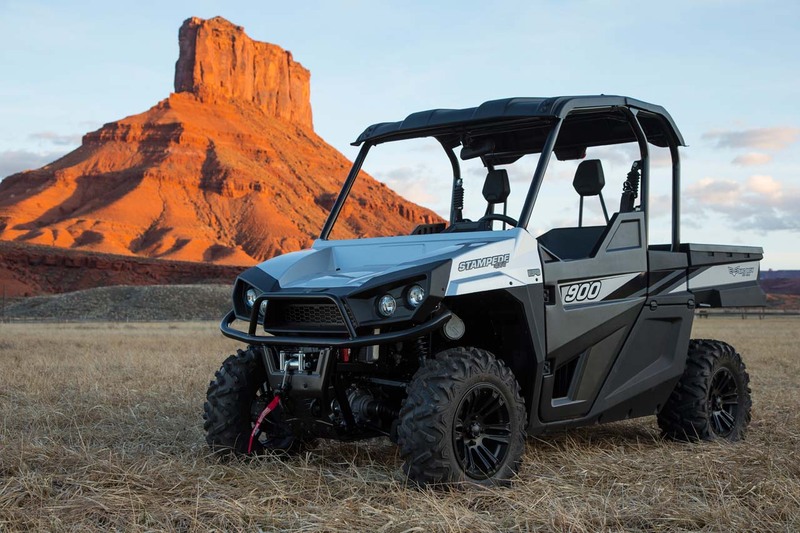 The best description of this category would be “recreational-utility” as owners use their machines for everything from tasks around the farm, yard, and job site to weekend trail rides and treks to deer camp or a favorite fishing hole. 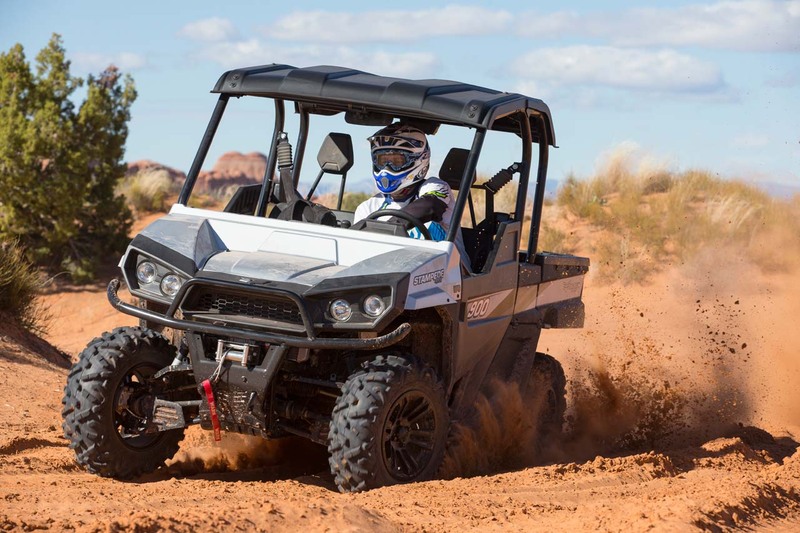 However you describe it though, the segment is enormous, and Bad Boy Buggy is bringing a serious machine to the mix with their new Stampede 900 4x4. 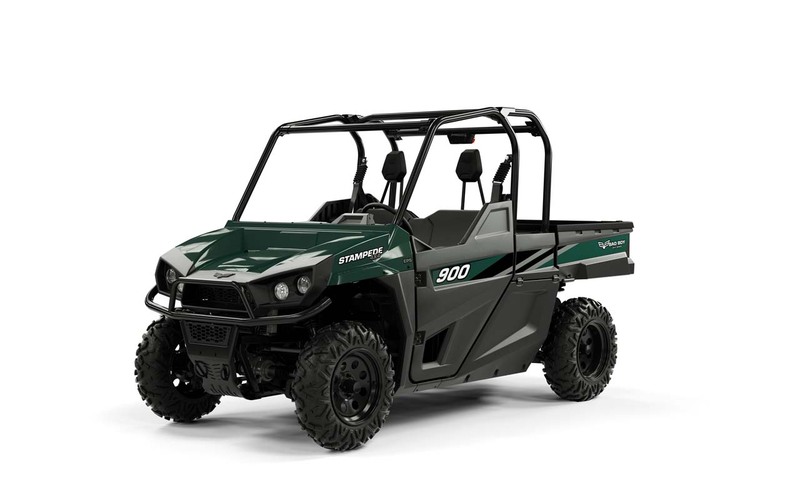 Not exactly a pickup, and definitely not a tractor, models in the recreational utility category are often asked to do the tasks of both, and to do so while providing comfort to the rider and passengers. 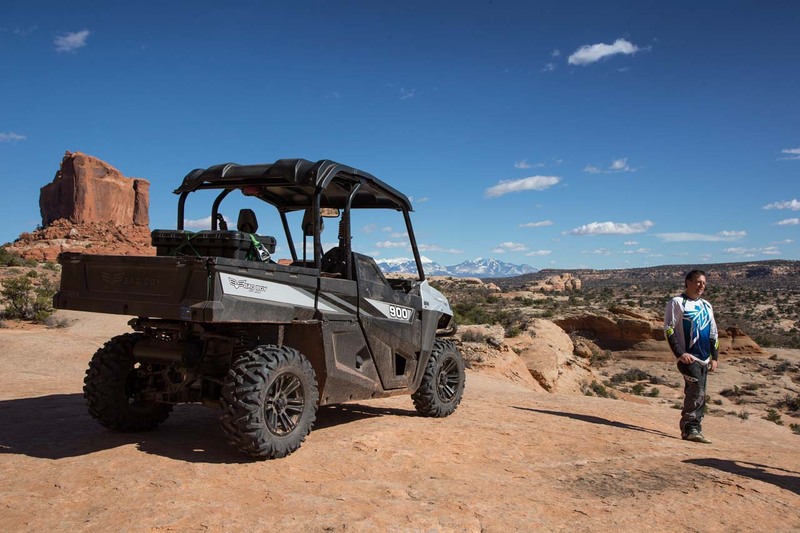 The engineers at Bad Boy Buggy did a great job of addressing key requirements that can make or break a model such as power, comfort, versatility, and reliability. 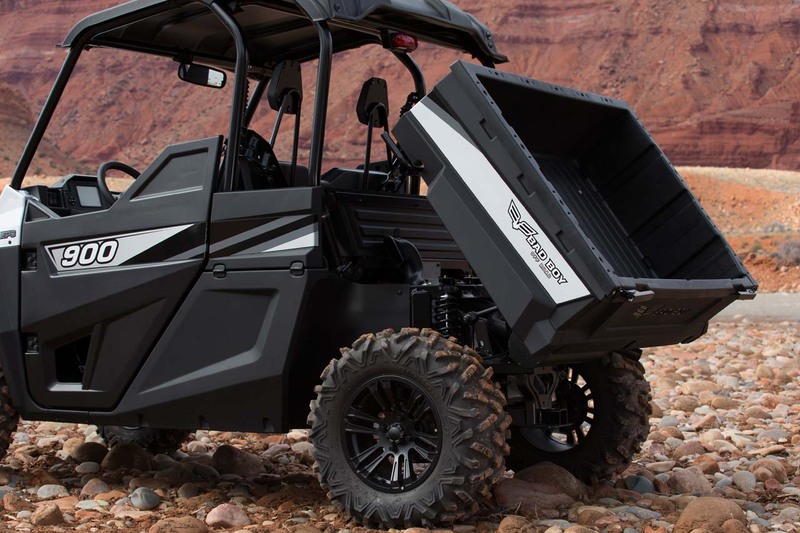 While Bad Boy Buggy has offered electrically powered vehicles for years, that was not going to work for this unit and the new Stampede comes with an 846cc, liquid cooled, fuel injected engine. What brand of engine you ask? Their own now! 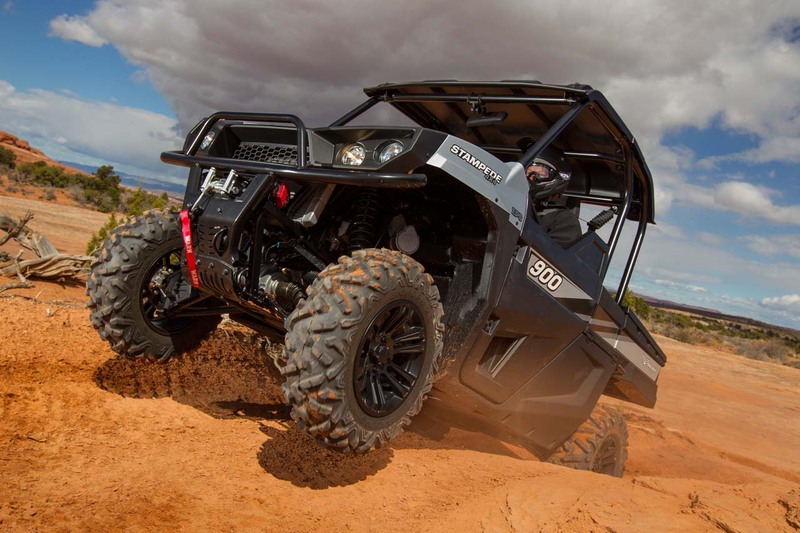 Rather than source their engines from another supplier, management at Bad Boy Buggy and their parent company Textron went one better; they simply bought a highly respected engine manufacturer! 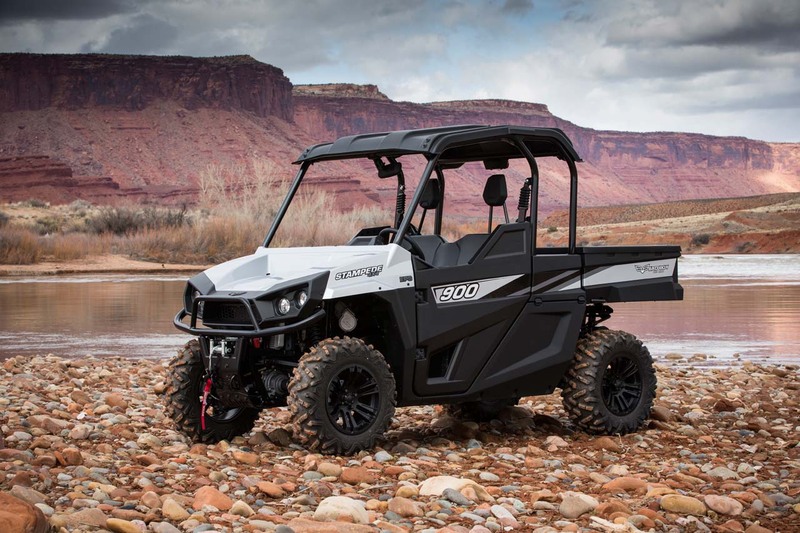 Weber is a well-known engine manufacturer from Germany and for years they were a major supplier to Polaris and other power sports manufacturers for everything from watercraft, to snowmobiles, and even light aircraft. 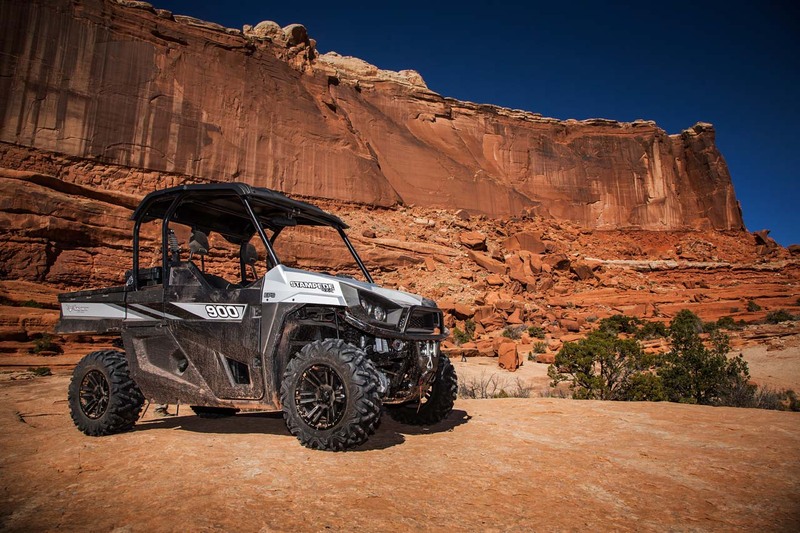 The Weber engines have a reputation as being reliable, powerful, and for using the latest technology. 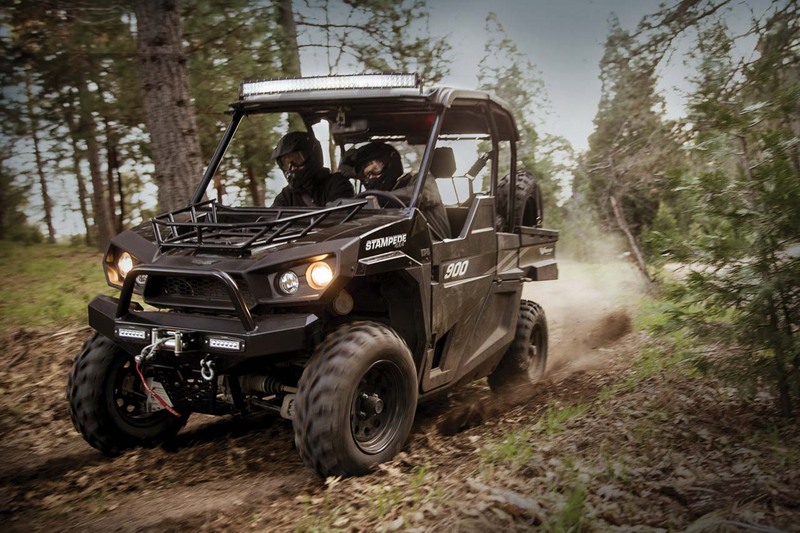 It was a natural fit for Bad Boy Buggy and by bringing them into the Textron family they had immediate access to an excellent power source. 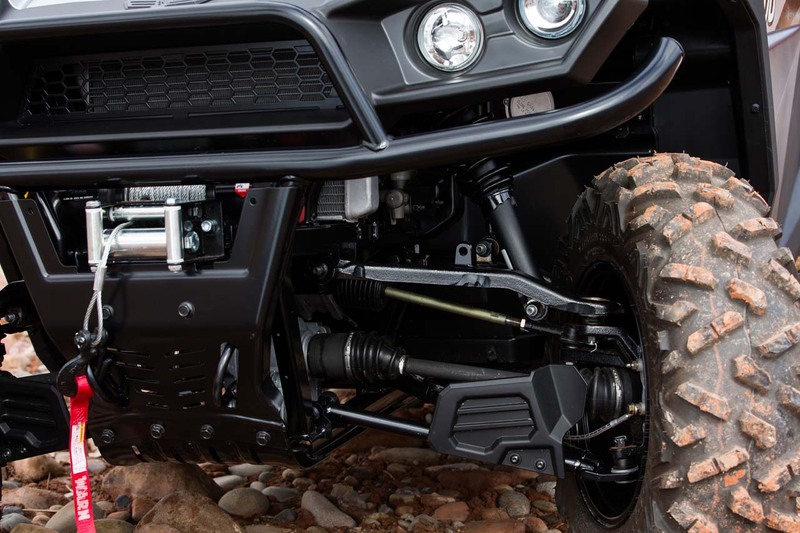 The engine for the Stampede 900 4x4 was specifically designed for the power requirements of a serious Side x Side and it does not disappoint. 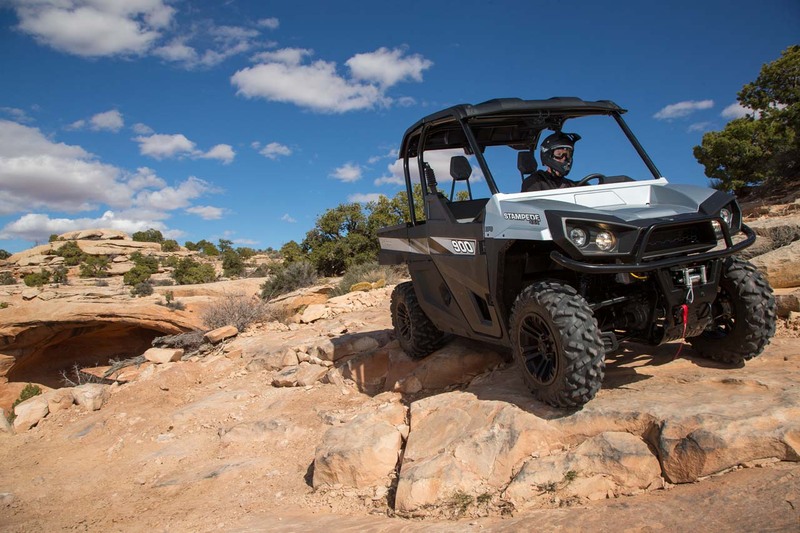 At 80hp, the liquid cooled, twin cylinder engine starts quickly, runs smooth, and gets the unit up to speed on the trail with no hesitation. Often engines are described as having a very linear, almost electric feeling powerband. Basically that means it builds power quickly yet also smoothly. 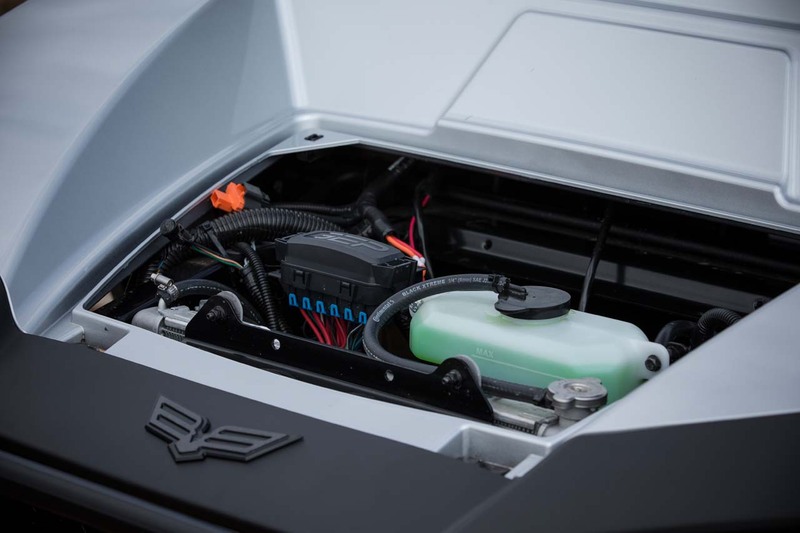 The Stampede 900 engine can be described as silky smooth! It pulls nicely to the top end and is happy to stay there for as long as you can hold your foot down. 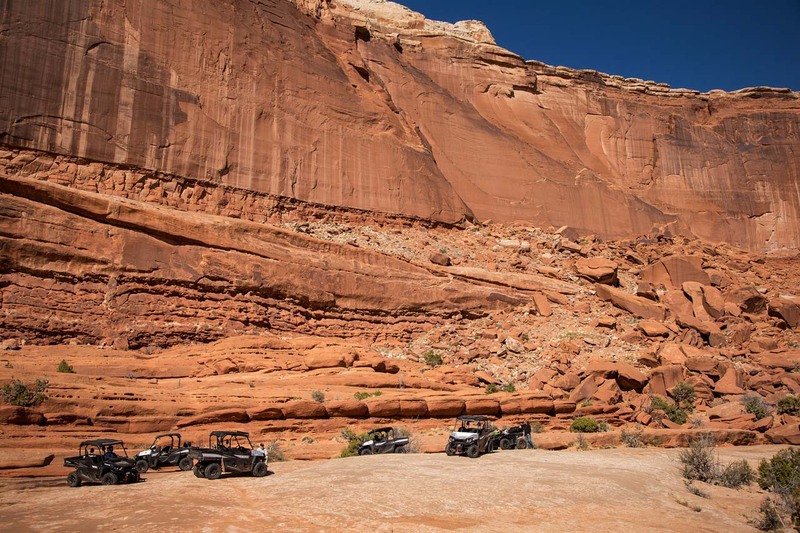 We estimate top speed is in the 60mph range (We could only go so fast on the Moab trails) which is more than fast enough for almost every situation. Inside the cab area there is ample room for two, and the Bad Boy Buggy engineering team did a nice job of hitting all the details. The seats are comfortable and sculpted to fit your behind, the floor boards are textured to keep your feet in place, and pedal location was very good. They also went the extra mile in pedal design and mounted them on a real pivot bushing, taking away the sloppy, side to side motion so common to some other models. Nice job guys! It makes for better feel and pedal action. The dash is also laid out nicely with a hand hold for the passenger, a sealed glove box, open storage under and in the dash, and dual 12V accessory outlets. 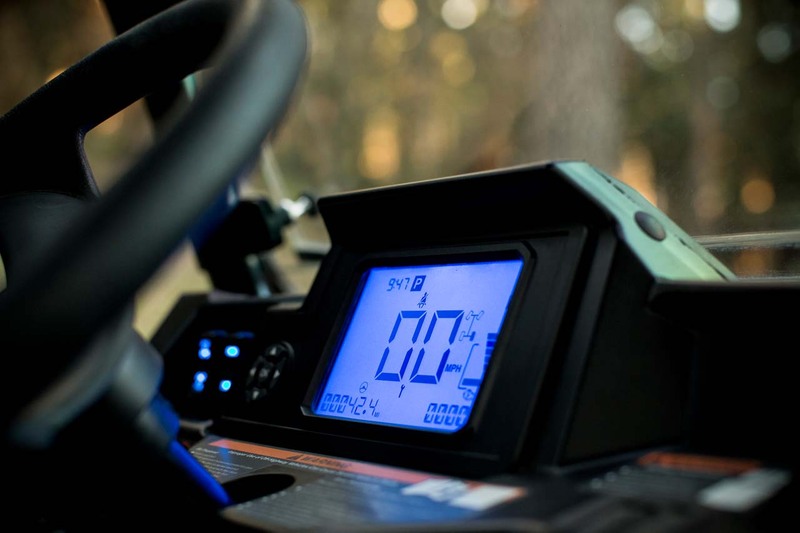 Tilt wheel is standard, and just ahead of the wheel is the largest digital display ever built on an off-road machine. It’s like having an iPad Mini ahead of the wheel and we love the easy to read numbers. In fact, the numbers are so large the guy behind you on the trail could probably read some of them too! We also like how you can scroll through the features and even adjust screen brightness with a thumb button. Nice touch! 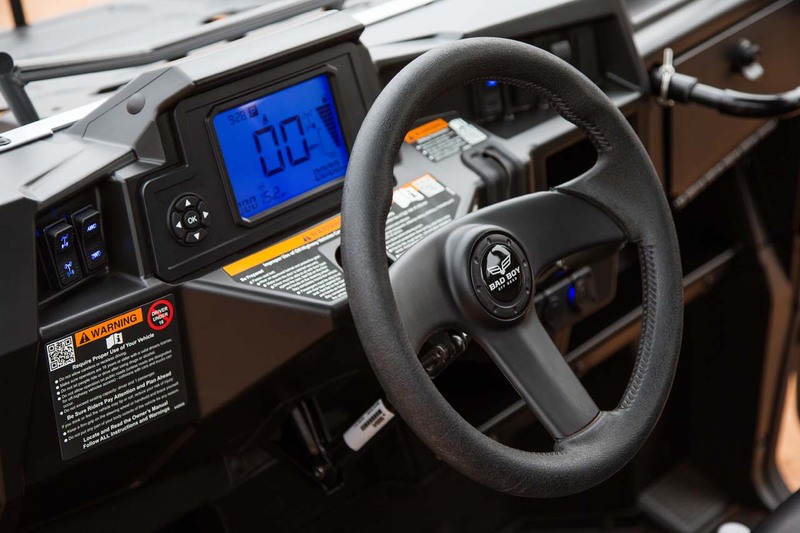 To the left of the digital display are switches for lights and 2wd/4wd, while on the right is the shift lever and hi beam / low beam, and accessory switches. Thankfully, doors are also standard and they do a nice job of keeping you safely protected inside without having any interior protrusions to grind into your hip or knee. They also didn’t rattle around on the trail. If you’re going to enter an existing market you had better come with something clever and new. There are several features on the new Stampede 900 4x4 that meet that requirement, but the most obvious is an enormous storage compartment just behind the seats. Think of it almost as a small bath tub and you get the idea. Our first idea was “This would be great for hauling our shotgun safely, tools, a bow, and even our dog Rascal”! 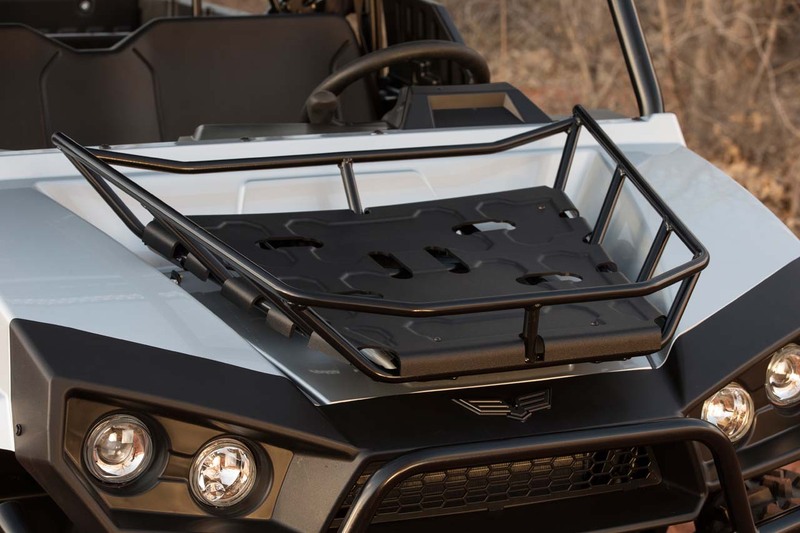 It’s the PERFECT place for anything that you want to haul that needs a little extra protection. To make it even more useful the ends are actually doors and can be opened. We LOVE it! Behind the storage bin is a sturdy composite dump box that can haul anything larger from hay bales to firewood. Underneath the bodywork is a well-designed chassis, as it should be. Textron also owns Cessna Aircraft, Bell Helicopters, Beechcraft, and Jacobson. They even make the Marine Corps remarkable tilt-wing aircraft, the V-22 Osprey. That gives them a deep well of talent, experience, and manufacturing experience to draw from, and they wield it as deftly as Master Kenobi does a light saber. 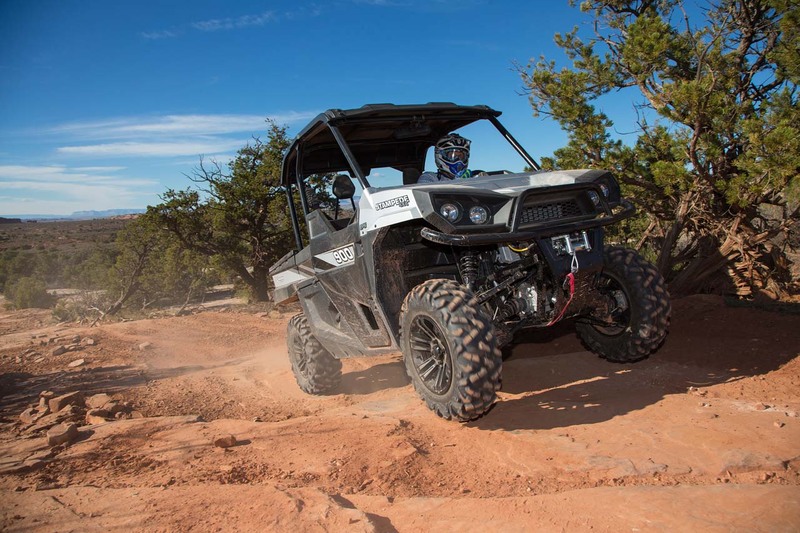 Primary chassis members are high-strength steel and the suspension does a good job of soaking up bumps and delivering controlled handling on the trail. We never did bottom it, and even in rough sections it always tracked straight. Disc brakes with steel braided lines bring everything to a quick stop. The turning radius and ratio was also very good, and we rode the Stampede all day with no problems. 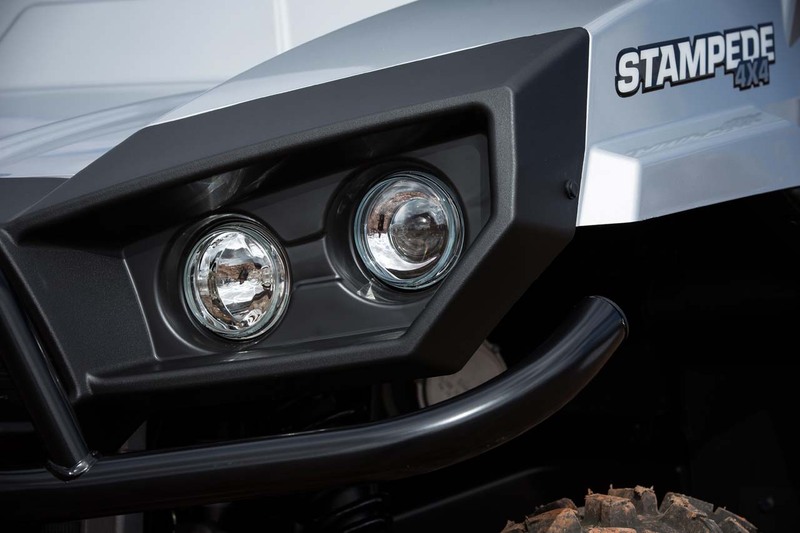 Trail rides are always fun, but we’ll also put the Stampede 900 4x4 to work on our own turf. There is plenty to learn about this new machine, but we’re already impressed. 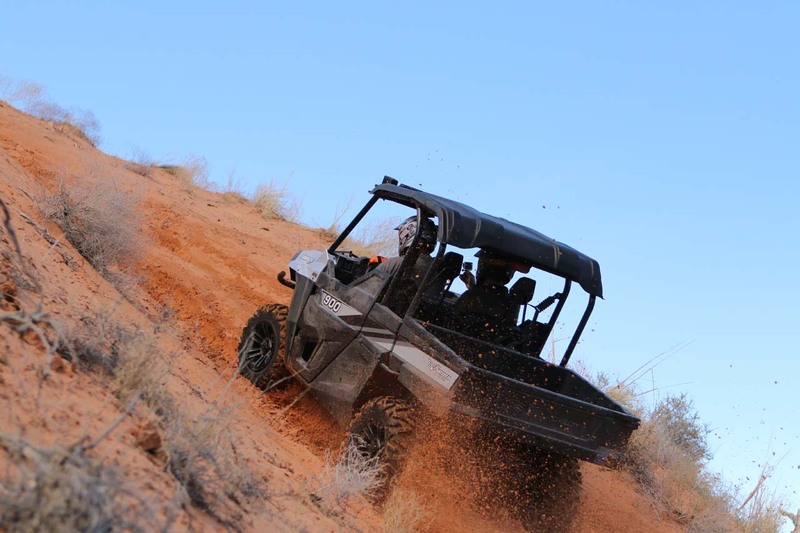 Look for an in depth review and full test of the Stampede in the next issue of ATV & SxS Illustrated!